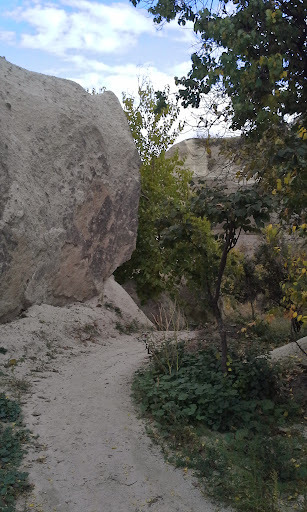 Since I stayed in Göreme while visiting Cappadocia, the trail through Pigeon Valley was one of the closest ones to my hotel. In all honesty the day that I did this hike my intention was to hike up to Uçhisar to see the castle (you can see it in the far distance in the center of the photo above). However, a wrong turn at poor set of signs (and my own lack of a map that day), took me through Pigeon Valley first. If you stay at the Vineyard Cave Hotel like I did, then you only have about a 5 minute walk through the end of town before trail starts. Just look for the Uçhisar castle and walk towards it from the hotel, which is down the hill and a right on the main road. Follow that road until it turns into a walking path. Initially, there is just the one path. After maybe 10 minutes or so, you will come to a split in the trail. The signs are nothing more than words spray painted on a pole with arrows that leave you wondering which way they are actually pointing. If you go right, then the trail takes you through Pigeon Valley and ends at Panorama. 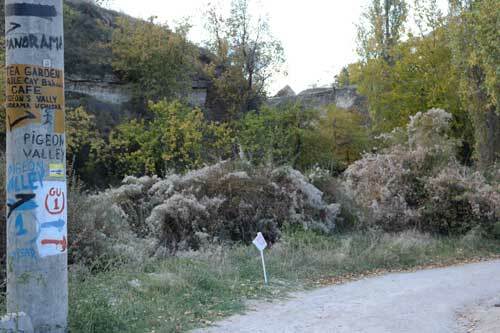 If choose the trail on the left, then you end up in Uçhisar. That morning, I chose right. But here’s the funny thing, both sides of the trail will tell you that you can get to Uçhisar. In fact, even as you are walking on the Pigeon Valley trail towards Panorama, you will still see signs spray painted on the boulders pointing you ahead to Uçhisar. Of course, you can get to Uçhisar via this path, but it takes you maybe 20 or 30 minutes more of walking along the highway to reach if from Panorama. The other trail is a more direct path right into Uçhisar. The Pigeon Valley trail is not for the faint of heart. And you should definitely not attempt it if you’re not wearing a good pair of hiking boots or trail shoes. Why? Because it involves a bit of canyoning in order to actually get through to the end of the trail. It starts out simple enough with a dirt path through the valley with some great scenery surrounding you. This part of the trail fools you though as it gets much more challenging as you go along. Basically, this trail takes you along the floor of the valley and then up the side of it so that you come out at the top for the panorama view of the valley. There are no rails or anything to prevent you from falling and there is plenty of loose gravel on the path that you have to take. And, there are a few areas where you need some decent upper body strength because you have to do some canyoning moves between boulders and keep yourself elevated to prevent falling. Probably the most challenging part of all is right before you reach the top because there is a lot of loose dirt and rocks but the base part of the rock where you need to place your feet is very smooth and with a steep incline. Unfortunately, I had no idea that this trail was anything more than a simple hiking trail and I did not have the gear that I’d like to have had with me. I suggest a good pair of gloves and maybe some trekking poles for part of it. Once you make it to the top of this trail though, it is totally worth it for the view. Check out the photo below to see your reward for scaling the side of Pigeon Valley. You can even see some of the easy parts of the trail on the valley floor. If this trail is a bit too intimidating for you, then take a bike, taxi or bus up to Panorama to check out the view. 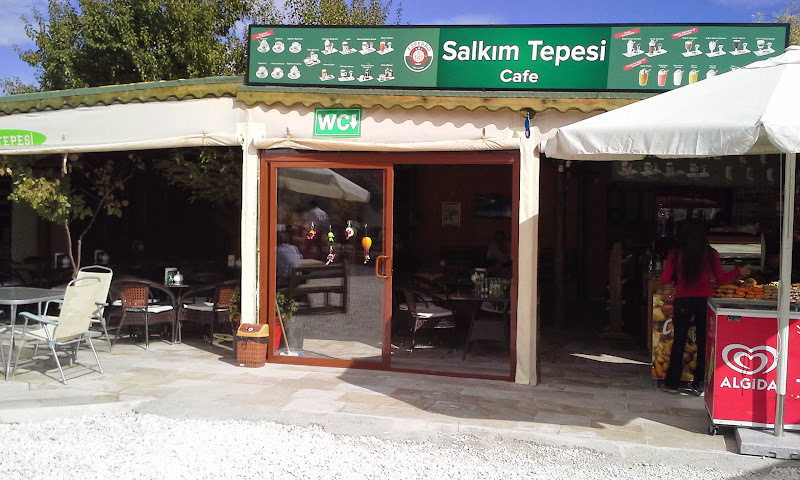 There are some shops and cafes there where you can grab a bite to eat, get some fresh pomegranate or orange juice, or even some coffee or Turkish tea. I had a latte, cause that’s how I roll, and it was just 6TL. Tea and iced coffee drinks were the same price. And if I recall correctly, the fresh juice is around 5TL for a cup of it. Now that you’ve made it to the top, you have a few choices to make – go back to town or head over to Uçhisar. To get to Uçhisar, you have to walk along the road (there’s no side walk) and it takes maybe 20 minutes or so. To get back to town, I’d suggest hitching a ride with a taxi because going back the way that you came is just too dangerous. If you walk on to Uçhisar, there is a trail that you can take that gets you back to town and it’s no way near as strenuous as this one. Overall, this was a great hike because it was challenging, long and we encountered no other people the entire time we were out – at least not until we reach the top at Panorama! I found your the information on your blog extremely valuable and informative. 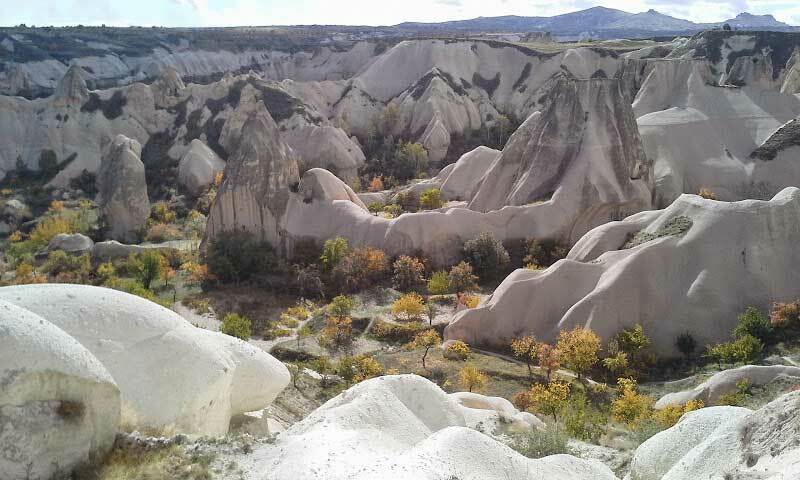 I am a senior female, planning a trip to Turkey in May with a three day visit to Cappadocia. I have less than stellar balance and have some knee issues. Pigeon Valley was recommended but from reading your blog I got the feeling that this hike will be too challenging for me. 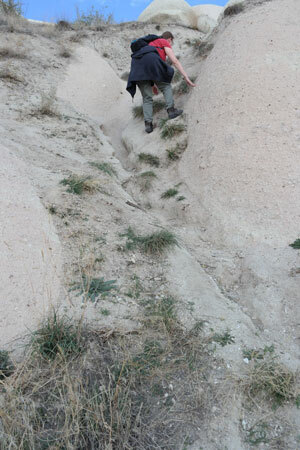 Would it be any easier to start at Uchisar and go downhill to Goreme? I will be with my friend who is an experienced and keen hiker as well as with a local guide. Do you think I should consider joining a group doing an easier valley? I welcome any comments/suggestions you may wish to offer. I thought I’d already responded to this, so my apologies! I do think you will have an easier time going downhill from Uchisar as I definitely found it less perilous. If you have space in your checked luggage, I do suggest taking a pair of trekking poles just for extra stability/balance. Since I didn’t use any trekking poles while I was there, I can’t recall if you can rent/buy any in the event that you don’t bring a set. If you don’t already own a set of trekking poles, then I recommend this set at Amazon – I own this set and use them on hikes around the US, typically when the terrain is steep or has loose gravel. They’re not as expensive as other sets, but work very well at a decent price. I’m happy to answer any questions about them you might have since I do use them fairly regularly. I hope you have an amazing time on your trip! 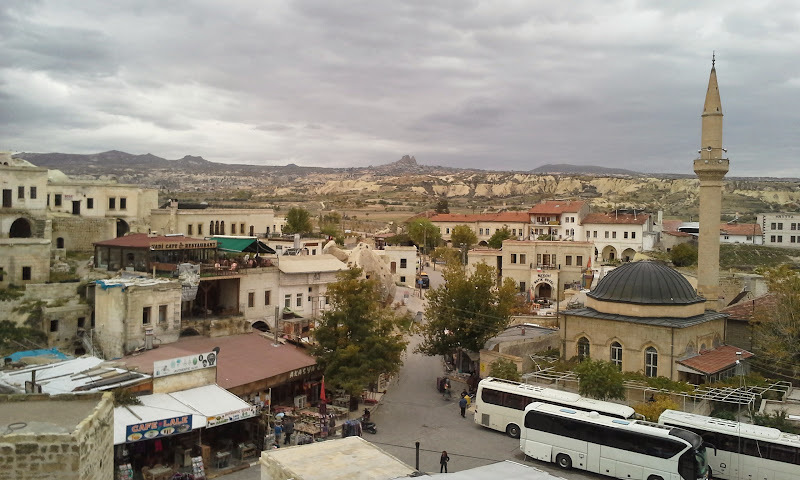 I loved my visit to Cappadocia and am looking forward to returning.